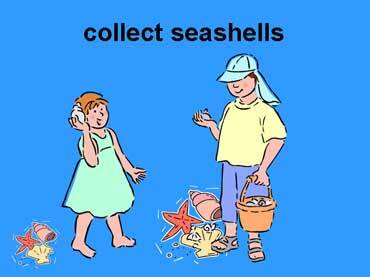 The boy and girl are collecting seashells. The seashells are in the sand. 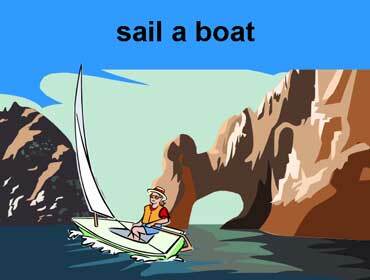 The woman is sailing a boat. The boat is in the Pacific Ocean. 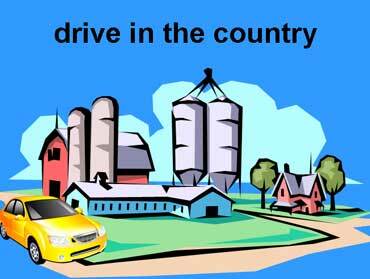 Summer is a good time to drive in the country. There are farms and animals in the country. Copyrights to the pictures and photos on this ESL and EL Civics website belong to individual photographers. Contact Christina Niven, ESL teacher, at christina@elcivics.com. Please send corrections, comments, greetings, and requests for new lessons. Copyright © Christina Niven, 2007.